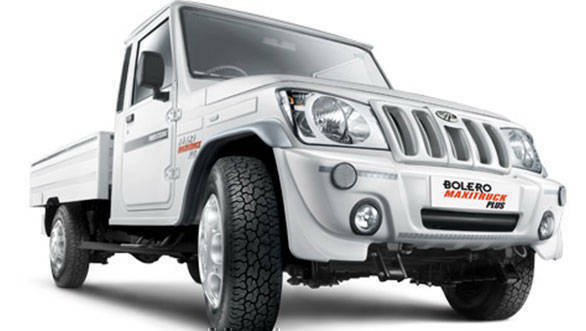 Mahindra and Mahindra is recalling its Bolero Maxi Truck Plus in India to fix a faulty fluid hose. The defective vehicles were manufactured between September and October 2016. This is the second time that Mahindra has issued a recall for fixing faulty fluid hoses of its vehicles, the first instance being the Scorpio and Nuvosport last year. Mahindra had also recalled an unspecified number of SsangYong Rexton SUVs to rectify a suspected fault with the rear driveshaft. Based on the Bolero, the Bolero Maxi Truck Plus comes in three engine variants - DI Turbo, m2DICR and CNG. The 2,523cc 4-cylinder turbocharged diesel engines (DI Turbo and m2DICR) generate 63PS and 195Nm, whereas the 2,523cc 4-cylinder petrol-CNG engine produces 70PS and 181Nm. The pick-up has a payload capacity of 1,150kg, 40.60 sq. ft. cargo box and a turning radius of 5.5m which, as Mahindra claims, helps in manoeuvrability in narrow lanes. The Bolero Maxi Truck is also available in a cowl body chassis variant in which a customer can construct load bodies depending on the kind of loads. The pick-up also gets wrap-around headlamps, dual-tone instrument panel and fabric seats with matching door trims.